With a dozen smart, surprising, mind-expanding essays on all three books in the trilogy, Divergent Thinking provides a companion fit for even the most Erudite Divergent fan. Contributor list: Elizabeth Wein, Maria V. Snyder and Jenna Snyder, V. Arrow, Jennifer Lynn Barnes, Mary Borsellino, Rosemary Clement-Moore, Debra Driza, Julia Karr, Dan Krokos, Elizabeth Norris, Janine K. Spendlove and Blythe Woolston. I was so excited to read Divergent Thinking (being a MASSIVE fan of Veronica's series) and to make things even better, I got to give away some amazing prizes (thank you, BenBella!) from the book on my blog! There were SO many entries, so I let the random Rafflecopter button pick two winners (except for excluding quite a few US residents who tried to sneak in to the contest!) and picked two lovely winners! Having read the entire Divergent series (and you should read all three books for delving into some spoilers regarding the series), I was ready to delve back into the world of Tris and Tobias and examining Dauntless, among the many factions alike. The book was split into several different segments that one of the various authors would write, explaining a bit more about that particular element of the series. For example, Rosemary Clement-Moore expresses the personality types in Divergent and how they mold each member of the different factions. 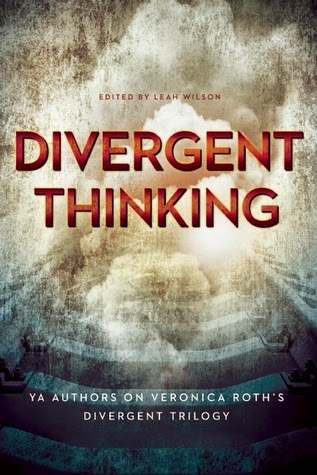 Divergent Thinking goes further into the world of Divergent than we've ventured, into the psychology and how real issues in the series are based in each faction, in sort of an analyzing and sometimes conversational way. So being a fan of the series, it was amazing to see how other people thought of the complex themes and perception of the dystopian Chicago world. I really loved how each contributor of the book felt about the series and how each of their opinions could change our own perceptions of the series and open our eyes to things inside the world of Divergent that we hadn't yet ventured to uncover. My favourite part of Divergent Thinking would be Debra Driza's part - she examined the secrets within the series and it really captivated my attention more than any other part. Many of the parts were comparing the fictional world to our real world and our issues compared to theirs, shining a light on things we had missed and satisfying our fangirl/boy hearts by opening our minds back up to the dystopia series. 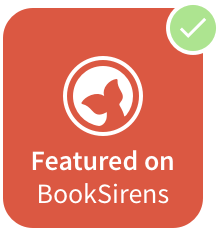 Fans of Divergent will adore this book - it will entertain your need for more in the world of Divergent, fascinate you with it's new discovered topics and add a dash of astounding Non-Fiction to your shelf even if you're more of a Fiction reader. Each author added something amazing to Divergent Thinking to bring together an almighty read worthy of a place on your bookshelf. Aside from Debra Driza's part, I really liked Maria V. Snyder and Jenna Snyder's Mother/Daughter take on the series! It was different to see a conversational analysis aside from a solo part, so it added some extra depth to the book. Divergent Fans, or anyone who's read the series and wants another hit of dystopia! YA and Adult fans are going to eat this up. Have you read Divergent Thinking?